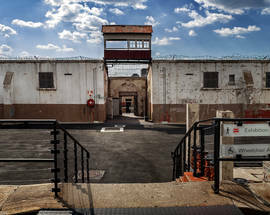 One of Joburg’s most important heritage sites, the Constitution Hill complex is split into four parts: the Old Fort, the Women's Gaol, the Number 4 prison block and the Constitutional Court. At the centre of the complex is an open plaza where the eternal Flame of Democracy burns. This is also where you will find the entrance to the Constitutional Court, the Number 4 block, the fort ramparts, Women’s Gaol, the tours office and the City Sightseeing bus stop. Entrance to the fort ramparts and the Constitution Court is free, while entrance fees are charged for the Old Fort, Women’s Gaol and Number 4 prison block exhibitions. This area is now recognised as one of the country's most important heritage landmarks and if you have time, all areas of the Constitution Hill complex are worth a visit. The Old Fort at the centre of the Constitution Hill complex was built in 1893 to protect Johannesburg from the threat of British invasion and also to keep a watch over the miners flocking to the growing settlement. Following the end of the Anglo-Boer Wars the fort became a jail for white prisoners. One notable exception is Nelson Mandela who was briefly imprisoned here while awaiting trial in 1962. 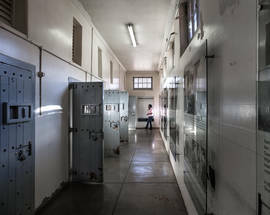 His cell now forms the Mandela Cell exhibition. 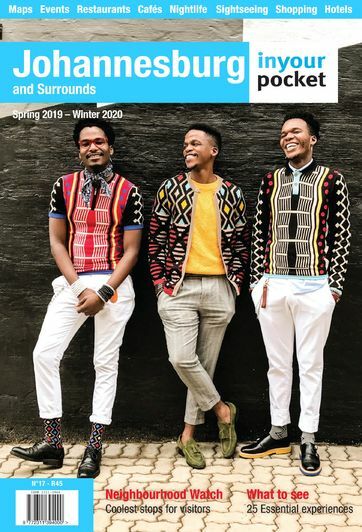 You can now walk around the old fort ramparts which have a great view of the city centre skyscrapers and also offer an enticing glimpse into the hustle and bustle of chaotic Hillbrow (we don’t advise to visit Hillbrow without a tour guide). The Women's Gaol was built in 1909 and held black and white female prisoners (and often their babies too) in separate sections. 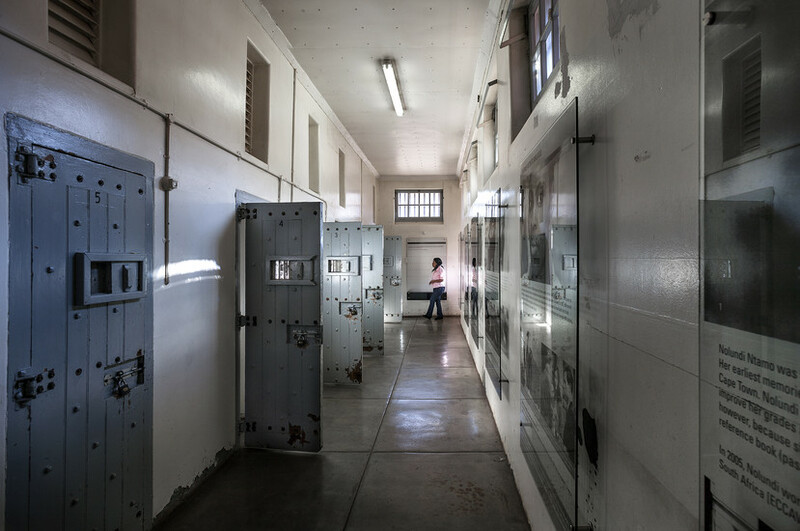 During apartheid many major political activists such as Albertina Sisulu, Ruth First and Winnie Madikizela-Mandela were imprisoned here in humiliating conditions. In the isolation cells you can read the personal testimonies of former prisoners who were subjected to months of solitary confinement within these walls. There is also a large temporary exhibition space hosting regular art exhibitions. Wandering the bleak yards and dank cells of the Number 4 prison block is at times a harrowing experience. Number 4 was used from 1904 until 1983 as a prison for 'native men' whose crimes ranged from political activism to murder, petty crime and, most commonly, the infringement of apartheid’s racist passbook laws. Prisoners were held in desperately overcrowded and unsanitary conditions and were regularly starved, beaten and brutalised. Video testimonies from former prisoners are projected onto the walls detailing the brutality of everyday life in Number 4 and there are also extensive exhibitions about the different ways that the men found to cope with their imprisonment. At the far end of the prison, looked over by a watch tower and hemmed in by rusting barbed wire, are the chilling isolation cells which are said to be haunted. There is also a very good exhibition on Mahatma Gandhi, who was imprisoned at 'The Fort' (as it was still called until recently) in 1906 for his political activism. 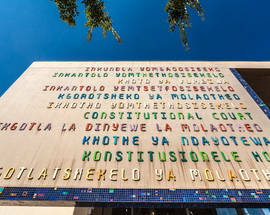 The Constitutional Court was opened in 2003 and built using bricks from the old awaiting-trial prison block. This bright, inviting and modern building has an excellent contemporary art collection which is alone worth a visit. 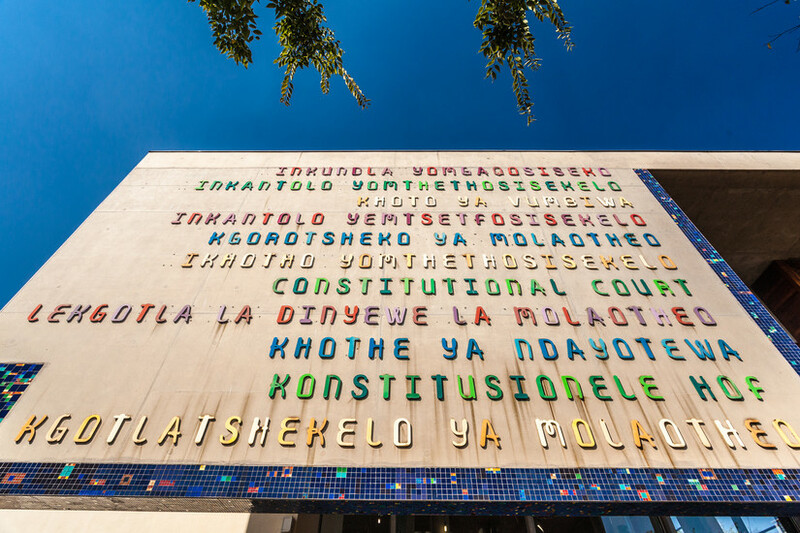 The Court's main function is to uphold the principles enshrined in South Africa's hard-won constitution, making this the highest court in the country. All interested visitors are allowed to attend court hearings and visit the court chamber which has been specially designed to allow for maximum transparency and visibility, both symbolically and literally. Insightful guided tours of the different buildings within the complex are included within the Constitution Hill museum entrance price. Themed tours can also be booked such as the Walk with Madiba Tour or the Night Tour (for groups of minimum 10). A particularly unusual experience is the Time Travel Tour, an ‘interactive’ tour where visitors become prisoners and are even (briefly) locked into cells! Themed tours must be booked well in advance. Cnr Joubert St and Kotze St, Braamfontein, tel.+27 11 381 3100, constitutionhill.org.za. Constitution Hill is open 09:00–17:00. Follow Constitution Hill on Facebook and Twitter.